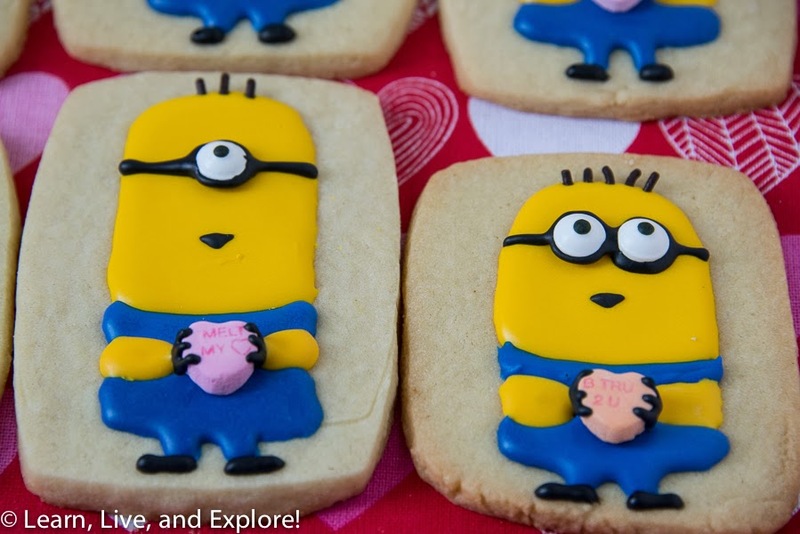 Minion Sweetheart Cookies ~ Learn, Live, and Explore! 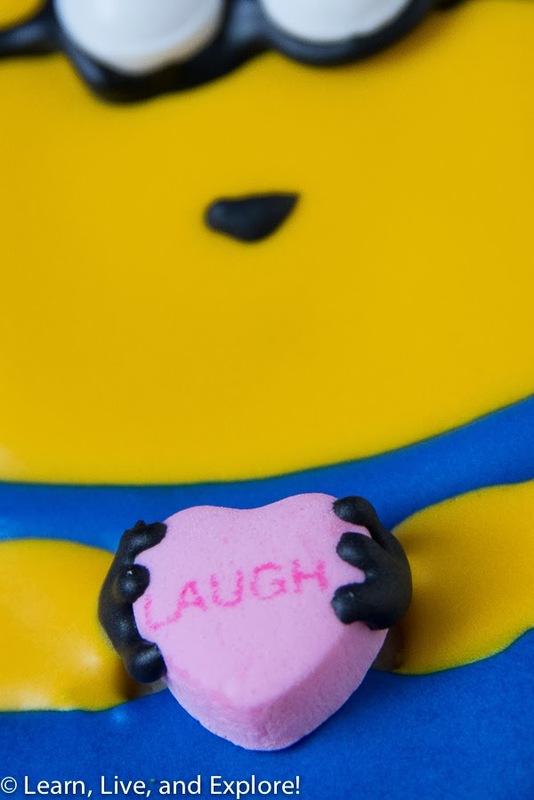 I finally saw the Despicable Me movies over the holidays with my niece and nephew, and they were great! I mean, don't get me wrong, the movies of my childhood will always rank high even if their animation is technologically inferior and the scripts were less witty. Movies for kids these days have the great advantage of being not only entertaining for young audiences, but sneakily entertaining for adults too. 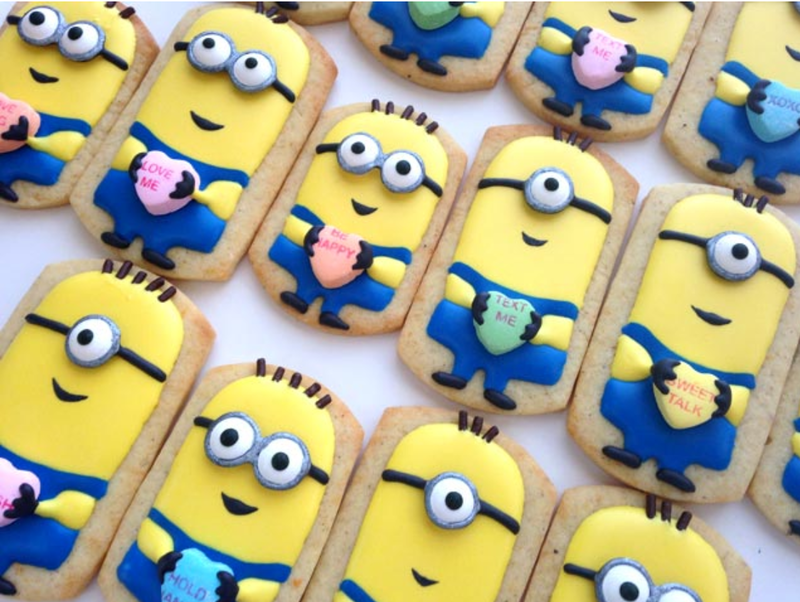 Anyway, when I saw these genius minion cookies holding conversation hearts for Valentine's Day, I knew I had to make them ASAP! These were originally designed by SweetAmbs. My cookies turned out a little bigger because I didn't have the circle cutters, and mine are missing the silver accent on the goggles because my shimmer dust didn't work as well as pearl dust. 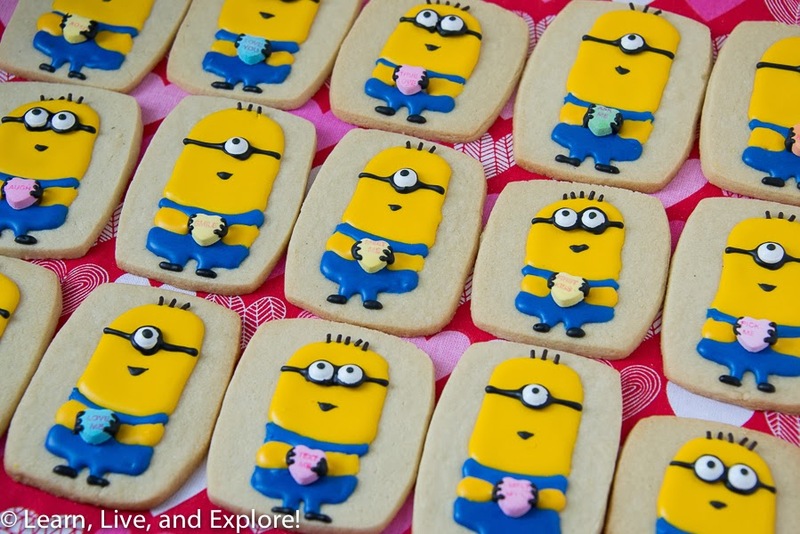 Nonetheless, they are adorable! !